Does Earning More Really Lead to a Better Life? In the personal finance space, there is a common disagreement about which is better to meet your goals: reducing your expenses or earning more money. This argument usually comes up when people are discussing debt repayment or catching up on retirement. I’ll be honest with you; typically I’m in favor of earning more over spending less. The reason is that over the last few years, I’ve really cut out a lot of my spending. There used to be times when I’d go to the mall just for fun on the weekends and always come home with an article of clothing. These days I can go an entire year without buying anything new. Because I’m not willing to cut out any more expenses, my only answer when it comes to saving more for money goals is to earn more. 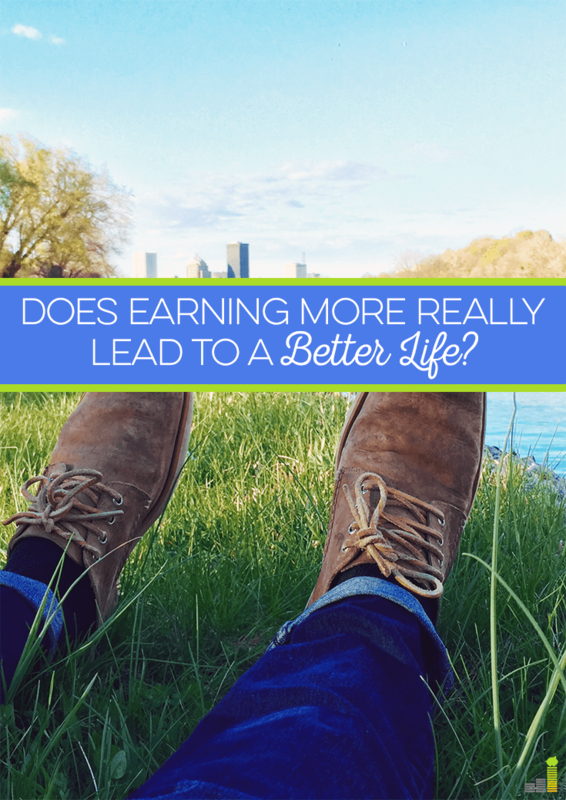 However, does earning more always lead to a better quality of life? There are certainly pros to earning more. I mean, can you think of anyone who doesn’t want more money in their bank accounts? When you earn more, you get an extra sense of security. You don’t have to waver so much when it comes to purchases. You can feel set and secure knowing that your retirement accounts are filling up and that you can finally afford to travel without feeling guilty about it. When you earn more, especially as a breadwinner in your family, you feel much safer knowing there will be food on your table, that you have the ability to buy your kids the things that they want rather than only the things they need. While all of this is great and it’s a wonderful feeling to earn more and see the numbers rise in your bank account, it does come with a cost. It’s hard to imagine that there would be cons to earning more money, but there are. If you work a traditional 9-5 job, the way to make more money would be to ask for a raise or to find a new job that pays more. Sometimes the transition is seamless, but sometimes it can be quite difficult. For example, getting a new job is great but if that job requires you to move your family across the country, it can be extremely stressful. You could also ask for a raise or apply for a higher position, but those jobs might take valuable time away from your family if you’re expected to work longer hours. The other way to earn more money is to start working on the side. Or, if you’re self-employed, you can raise your rates, or add on new clients and services. I’ll be honest; sometimes I can get so focused on earning more that I completely forget to take care of myself in the process. I can work really long hours without giving up, but eventually after a few days in a row of that pace, I’m grumpy and overall not the best person to be around. I had a week like this last week and was so overly stressed I couldn’t even handle going to the grocery store. I was so wound up and frustrated that I was mad at everyone in the parking lot and everyone driving their grocery carts in my way. Essentially, I’ve noticed that sometimes I can get a little too intense about earning more. 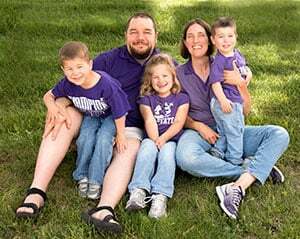 Even though I do it for my family or to reach a certain goal, I’ve learned it’s not really worth it if I don’t get to spend time with them or if the time I do spend with them is spent being overly stressed or annoyed. So, while I’m still in favor of earning more over cutting expenses, I do think it’s important to realize that you need to do so in moderation. It’s fine to work the extra hours for a certain period of time to meet a goal but then scale back. It’s something I’m constantly working on, finding that balance between income and time devoted to various work tasks. How about you? What do you think is more important: spending less or earning more? 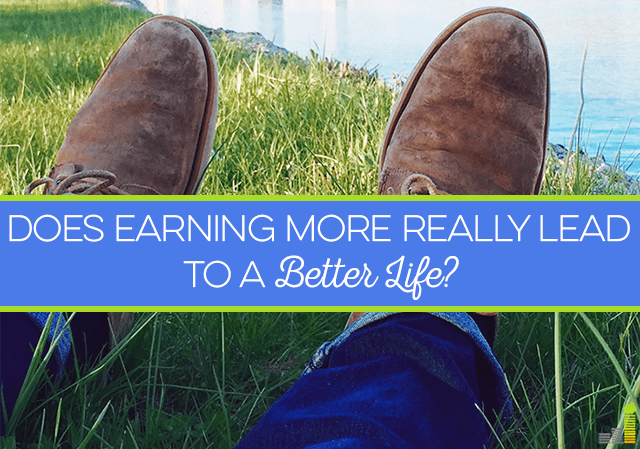 If you’re focusing on earning more, how is it making your life better? What do you love the most? If you’ve decided to focus on spending less, how has that decision improved your life? There is a finite limit on how much spending you can cut, but there’s no limit on how much you can earn. Focusing on both seems to be the best approach for most, but after a certain point, you’re right, you could be looking at cutting pennies from spending and missing the opportunity for earning dollars. Yes I love that concept. Eventually you just have to raise the income. Definitely all about earning more money! There are times where it is necessary to reassess the spending categories, but cutting out all the small pleasures makes for a boring life. I’m all about getting a few more dollars so I can add that small pleasure to my life, almost like a reward for that extra push. I agree. I like to mix it up a bit for sure. I definitely prefer earning more as there isn’t too much I can cut out of my budget anymore except where I’m living, which I’m working on. Sometimes time is just as precious as money. Oh I think it’s more precious for sure. I like both! Previous commenters make a good point that there’s no limit, in theory, to how much more you can earn. I like to point out though that cutting expenses by $1 puts another $1 in your pocket, but earning $1 more puts maybe 75 cents in your pocket after taxes. Still, I think most people are more excited by the opportunity to earn more cash than to cut their spending! Ah that’s an interesting way of putting it for sure!! I am in favor of earning more, but it’s also important to have a goal for that money or it can mysteriously disappear. It also isn’t worth taking on so much that you don’t have time to spend with family or doing anything fun. It’s a difficult balance that I am continuously struggling with. Yeah I hear ya. I need to take weekends off. That’s my luxurious goal for now lol. I’m all about both. We have cut our budget significantly in the past year and haven’t been happier, however, I’m all about increasing my income as well so that I can retire sooner! I always think back to Forrest Gump where Lt. Dan gets Forrest invested in Apple, so then he never has to worry about money again. It brings him some happiness since it’s once less thing to worry about. I try to keep my expenses low, but I’m not as frugal as many who dumpster dive or only shop at thrift stores. My main motivation now is to increase my income. If I cut my expenses 10% that may only be $3k a year, but if I increase my salary 10% it will payoff much more. I love that idea for sure! If there’s one thing that sports ever taught me its that smart work trumps hard work every time. If you can find a way to earn more and sacrifice less then earning more will make you happier. If you have to give up more than you are willing to give up in order to earn more then you will be miserable. I recently turned down a job offer where I would have earned 25% more, but it would have really upset our family balance. Right or wrong, I judged that more money would not yield more happiness for me. I think you made a wise choice. Sometimes money isn’t everything if it disrupts the balance. 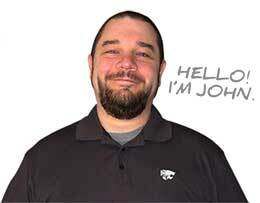 I’m a fan of constantly growing my passive income as I decrease my workload. Spending time with God, my wife and my kids take priority. I will never let money get in the way of being with them. Earning more is great if you can do it without working an ungodly amount of hours. It’s true. It is hard to say no to jobs and projects when you are an entrepreneur for sure! As someone who has earned more and then focused on spending less, I have to say that I prefer earning more, but just wish I had the saver’s mentality while I was earning more. It’s crazy how much money I know I wasted back in the day but at least I know when I make those numbers again, I will get better results in my banking account after the fact. I know. I feel the same way! I like both. As an entrepreneur I’m always trying to work smarter than harder and I think technology allows for this creativity with sacrifice. Time with family is so important so I’m always striking the balance of not working too much and keeping a handle on expenses. I am all about earning more! We’ve also already cut out a lot of expenses, so earning more is our only option. I will say…the past two (ish) weeks I’ve had time off (due to an upcoming vacation, my clients haven’t been assigning much) and it’s been SO nice haha! I’m not stressed at all, I’ve enjoyed my kids more and I’ve been more of a support to my husband than when I’m constantly busy with my own thing. After vacation, though, I am excited to get back into a routine with work…but it’s all about balance! I get stressed and pissy when the other gal at work goes away on vacation. It means working about 18 days in a row, and I’m not good to be around until after I’ve finally had a weekend. Eventually, I’ll stop getting raises because there’s just a logical stopping point. And health problems mean I can’t really handle another job, part-time or otherwise. So then we’ll just have to make sure our expenses don’t inflate too much so that we can keep putting away money.